Once thought of as a supplement for bodybuilders, protein powder is now used by people from all walks of life to enhance protein intake. Protein powders come in a range of flavors such as chocolate, vanilla, strawberry, banana and fruit blends. Protein powder can be derived from whey, soy, hemp, rice and vegetable sources. Adding protein powder to your diet can be as simple as throwing a scoop in with some water, and as complex as adding it to pancakes, breads and other baked goods. Protein powder and yogurt is a combination that offers several possibilities. Add a scoop of protein powder to a glass or small bowl. Pour in a little water at a time and mix it together until a smooth paste forms. 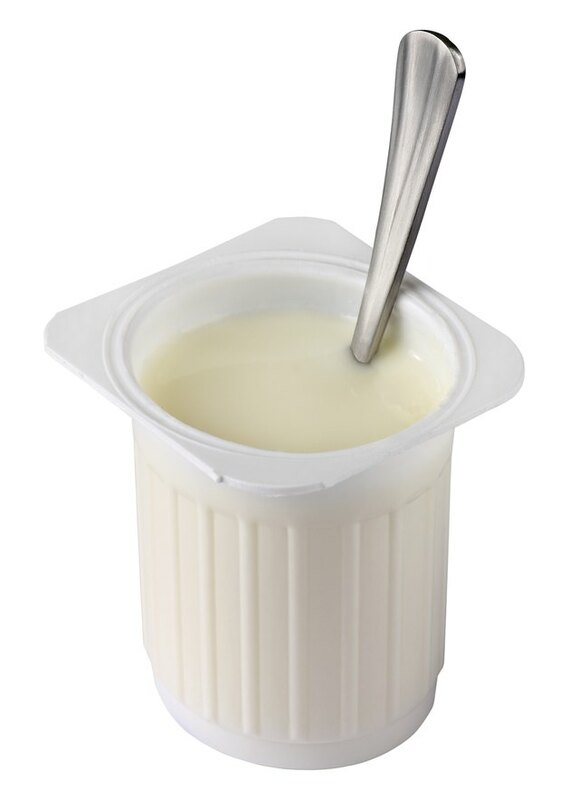 Add the paste to your yogurt and mix that together. This will eliminate any lumps or gritty texture from the protein powder, but still give the same benefits, says the Health Link Alberta website. Add the powder directly to the yogurt if the texture doesn't bother you. Add a scoop of protein powder and a cup of yogurt together in a blender with other ingredients to make a smoothie. Include fruit juice, and frozen berries for a fruit smoothie, or skim milk, peanut butter and banana for a completely different flavor. Experiment with different extras to find flavors you like. Add the protein powder paste or straight protein powder to yogurt, along with fresh berries and nuts to create a high protein dessert. Use any combination of raspberries, strawberries, blueberries, peanuts, almonds, pecans or walnuts. Drizzle a bit of honey or maple syrup if you would like some added sweetness. Use whichever flavor of yogurt you enjoy most for each recipe.